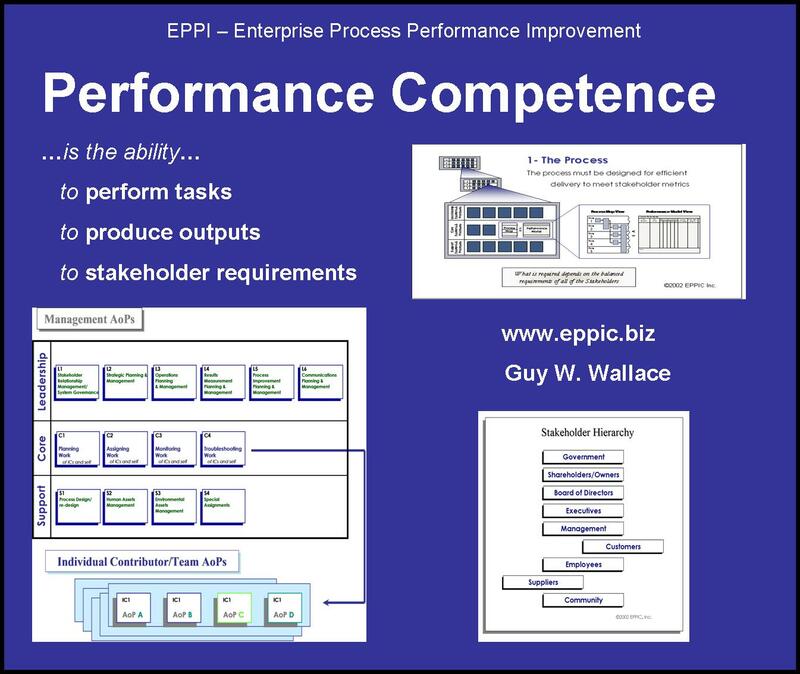 To keep the focus of PACT always on Performance Competence – we use a Performance Model. To be business-minded we engage our customers and stakeholders in systematic and predictable ways. But applying PACT appropriately – is all about adaptation. Even sometimes – the Performance Model. Without impacting future, downstream (post-Analysis) efforts. I and my former business partners, employees and subcontractors have employed variations of the basic PACT Processes for T&D/ Learning/ Knowledge Management on hundreds and hundreds of projects as external consultants for Fortune 500-type companies. I myself have over 200 such projects for 40 F500 firms. 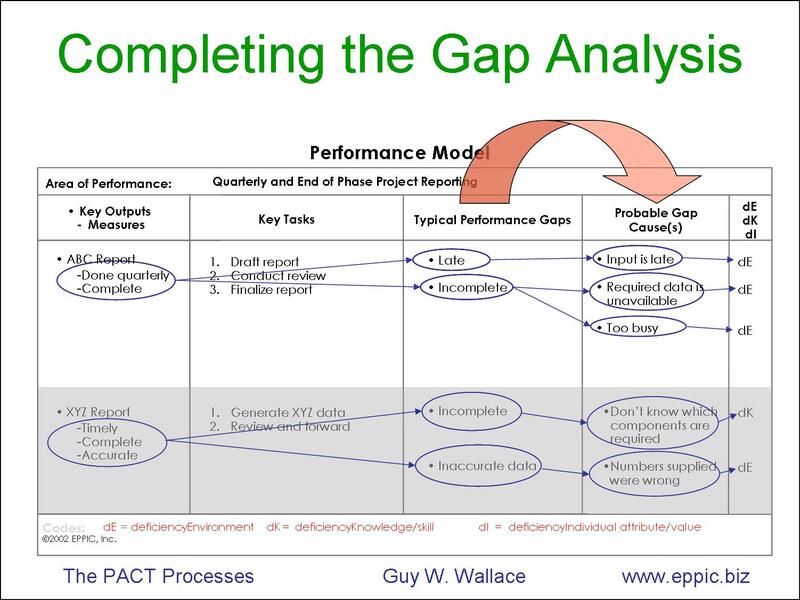 The “Intent for PACT” as I’ve attempted to formalize it is for the ROI potential – where the R of ROI are either the RISKS and/or REWARDS inherent in the Performance Context of the Issue (problem/Opportunity). 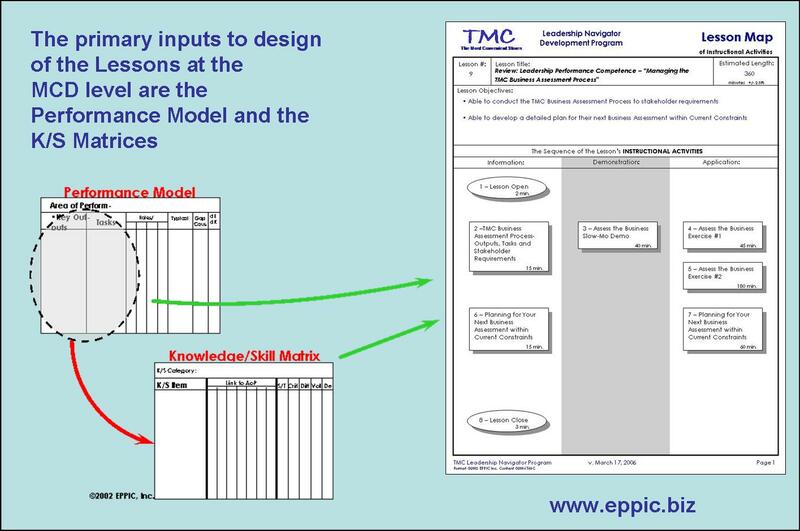 The Performance Model is pretty much “central” to ensuring Performance Impact of the T&D/ Learning/ Knowledge Management products and services rendered to the customer’s learners/Performers. It hopefully represents the handpicked Master Performers of the Project Steering Team (for both their mastery and political/peer acceptance). They develop a consensus model (involving much haggling, challenges, heated agreements, disagreements, and an occasional “minority view captured too” so that we could move off that dime) that defines the Outputs of Task Performance and the key measures from their stakeholders (and standards IF they exist) and the Tasks. … and capturing (from the AT’s perspectives) the Typical Performance Gaps – the Probable Gap Cause – and the assignment to a cause category of deficiency of environment, knowledge/skill, or of one or more individual attributes (physical, psychological, intellectual, personal values). The performance Model is then used to systematically derive the enablers…depending on the scope of the project and its downstream intent: instructional or more – which are captured on various Enabler Matrices. All of that is used to Assess Existing T&D – for its reuse potential. 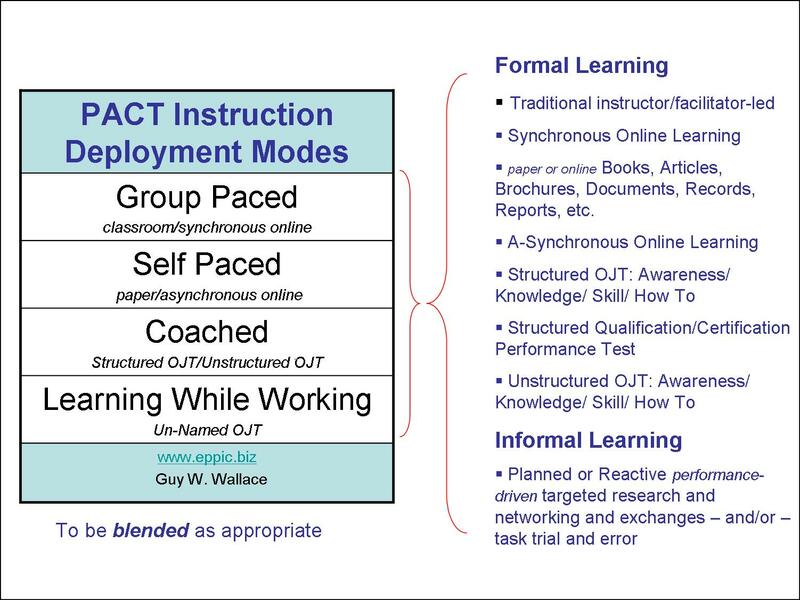 PACT analysis and design methods are applicable to all but Informal Learning….TRUE INFORMAL (unguided) LEARNING. Isn’t even named…yet- and then on its way to guided and less informal. 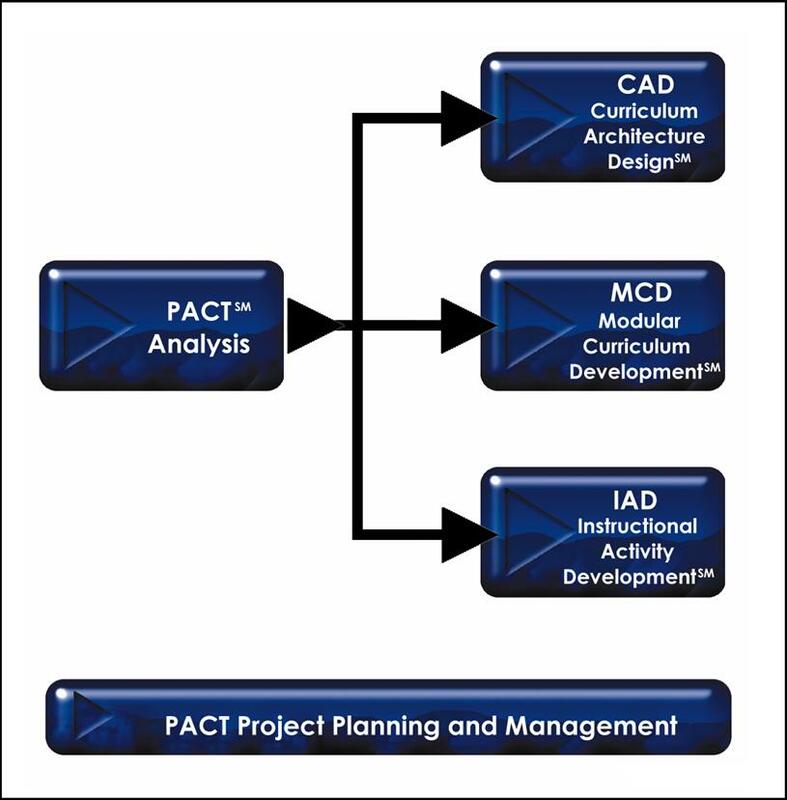 In PACT’s CAD efforts, many un-built/un-bought/un-resourced T&D Events and Modules remain on the T&D Path as U-OJT. U-OJT: Unstructured OJT. Where: You’ll have to do it yourselves using informal “on-the-job training” – as we don’t have have any “instructional structure” to go along with our “naming it” for you. That’s the extent of our value add in CAD. By that I mean “investment cost” in any Learning product development: AVOIDED – appropriately. Items that one eventually needs to master to some level of A-K-S in order to be a Master Performer in any job one has; but not worthy of Investment from an ROI perspective of the shareholder stakeholder. And PACT has always recognized and used “static and dynamic info” objects in our modular design methods. 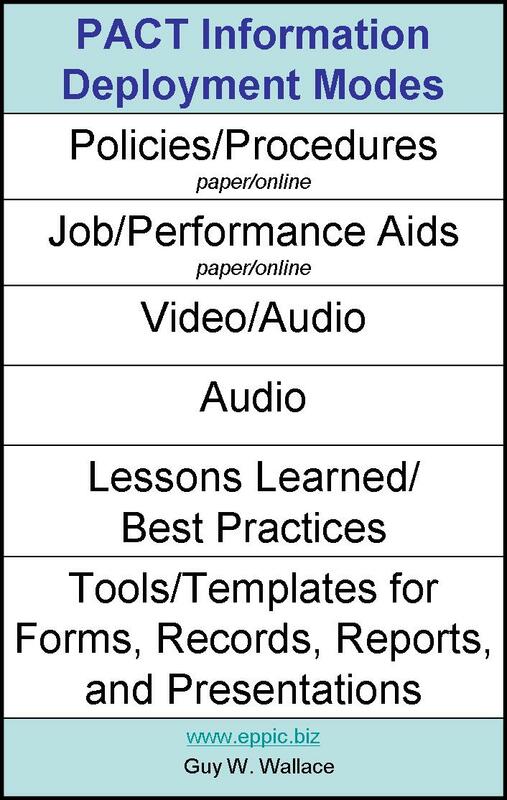 The concept of the “Instructional Activity” and reflected in the label is action learning when and where possible – blended with perhaps some passive learning moments in the mix – but mostly a “Lesson Map of Instructional Activities” should focus on active reception of Info and Demo “content stuff” and active Appo “content stuff” – and make sure all of the Instruction and Information is performance relevant – and – of HIGH FIDELITY. Performance Model data and the continuation with some or all of the Analysis Team members on the Design Team will insure Fidelity. Informal learning that seems to be more like “doing work and learning from it” than “doing learning and getting some work done” – makes much ado about very little – and my only distinction about it has been for labeling it U-OJT: Unstructured OJT and “naming it” so that it could be attended to by local management of the targeted learners/Performers (the minimal but useful “value add”) until (if ever) it was prioritized as a CAD gap worthy of resourcing and addressing with an MCD or IAD effort. 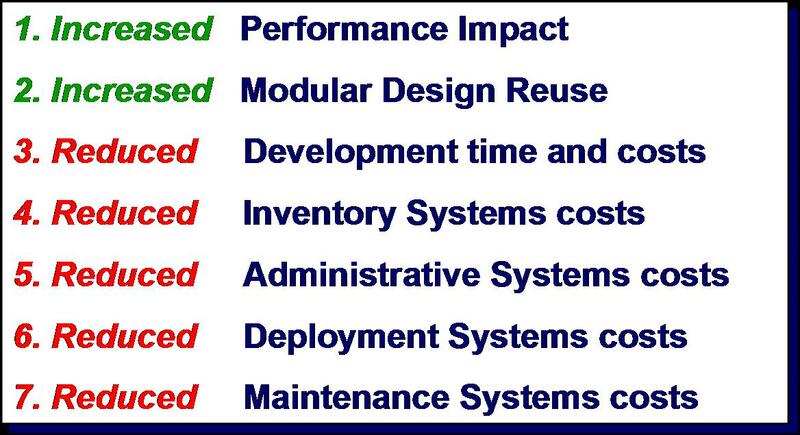 CADs do the “systems engineering/architectural designs” for prioritization and resourcing…and MCDs and IADs do the “new product development” and “new component development” efforts. 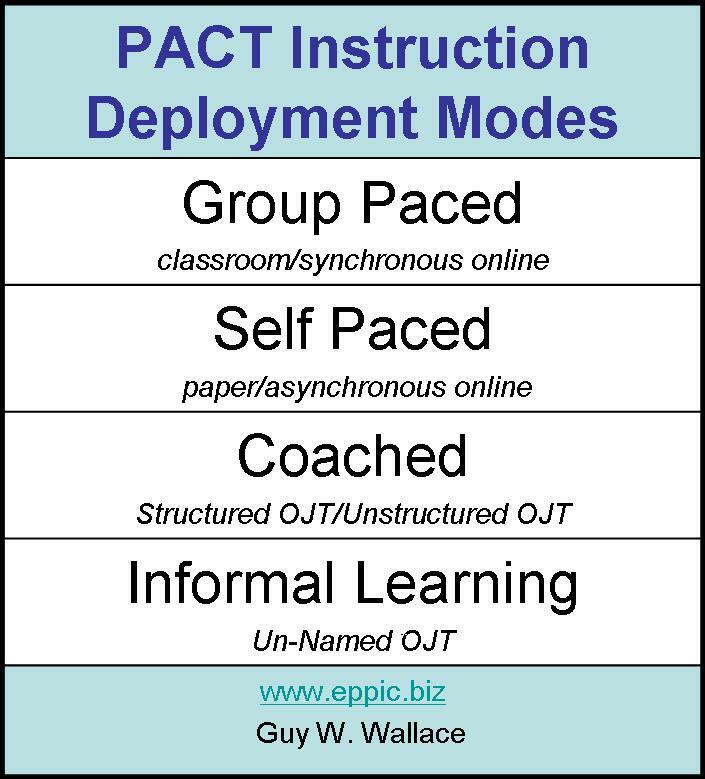 These PACT methods simply ensure the “performance-orientation” versus a topic orientation to your Learning Path titles and content. Leading to “performance-impact” – due to its use of the Performance Model as a “feed” to the design process leading to development/pilot-test/revision & release. 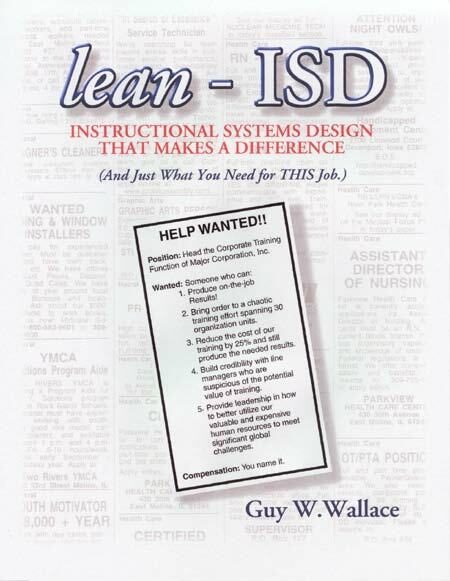 Details in my book: lean-ISD, available as a free 404-page PDF here. A final note: adapt when adopt doesn’t make sense. And please attribute appropriately – to be legal/ethical! And if you find others “marketing” something very similar (yet slightly different) – ask them where their methods came from. It may not surprise you. They are Anti-Attribute.